Demo! This 2018 Mercedes-Benz CLA250 Coupe is tastefully displayed in Cosmos Black Metallic on Black ARTICO/DINAMICA Interior. Equipped with: Premium Packages 1 & 2, AMG Night package, Active Parking Assist, Panoramic Sunroof, Rear View Camera, SiriusXM Satellite Radio, 18" Twin 5-Spoke Bi-Colour Wheels, and much more! _______________________________________________________________________ The first thing the CLA unleashes is aggressive style. There's a sleek ferocity to the striking air intakes, chiseled hood, and upswept headlamps. Its diamond-studded grille with central star exudes confidence. With frameless doors you will slip through the wind with sleekness. You will notice the athletic contours of the rear bumper, with its twin chrome rectangular exhausts and strips of LEDs define the contours of the tail lamps. Check out the sloping curve of the coupe roofline, emphasized by chrome trim. Even from behind, the CLA250 turns heads. There are three modes to the 7 speed dual clutch transmission – Economy, Sport, and Manual, allowing you to dictate how power is unleashed, at the touch of a steering wheel shift paddle. And the ECO Start/Stop technology means fuel is conserved. Come see us today for a test drive! _________________________________________________________________________ Three Point Motors Victoria is your authorized Mercedes-Benz and Smart dealer for Southern Vancouver Island, home to the most captivating automobiles on the market. Whether you are searching for a New or Pre-Owned vehicle or wanting to get your current vehicle serviced, we pride ourselves in outstanding customer service and exceptional experiences. We will offer you the best finance and lease rates, a complimentary car wash once a month, Mercedes-Benz performance driving events, and a bright and comfortable customer lounge with gourmet espresso, tea, baked goods, and WIFI. Our motto is "The Best or Nothing" and we strive to perfect every aspect of ownership with your Mercedes-Benz or smart car. Brand new! This 2018 Mercedes-Benz CLA250 Coupe is tastefully displayed in Cosmos Black Metallic on Black ARTICO Interior. Equipped with: Premium Packages 1 & 2, Night Package, Navigation, Active Parking Assist, Panoramic Sunroof, Rear View Camera, Blind Spot Assist, SiriusXM Satellite Radio, Matte Dark Ash Wood Trim, 18" AMG Twin 5-Spoke Bi-Colour Wheels and much more! _______________________________________________________________________ The first thing the CLA unleashes is aggressive style. There's a sleek ferocity to the striking air intakes, chiseled hood, and upswept headlamps. Its diamond-studded grille with central star exudes confidence. With frameless doors you will slip through the wind with sleekness. You will notice the athletic contours of the rear bumper, with its twin chrome rectangular exhausts and strips of LEDs define the contours of the tail lamps. Check out the sloping curve of the coupe roofline, emphasized by chrome trim. Even from behind, the CLA250 turns heads. There are three modes to the 7 speed dual clutch transmission – Economy, Sport, and Manual, allowing you to dictate how power is unleashed, at the touch of a steering wheel shift paddle. And the ECO Start/Stop technology means fuel is conserved. Come see us today for a test drive! _________________________________________________________________________ Three Point Motors Victoria is your authorized Mercedes-Benz and Smart dealer for Southern Vancouver Island, home to the most captivating automobiles on the market. Whether you are searching for a New or Pre-Owned vehicle or wanting to get your current vehicle serviced, we pride ourselves in outstanding customer service and exceptional experiences. We will offer you the best finance and lease rates, a complimentary car wash once a month, Mercedes-Benz performance driving events, and a bright and comfortable customer lounge with gourmet espresso, tea, baked goods, and WIFI. Our motto is "The Best or Nothing" and we strive to perfect every aspect of ownership with your Mercedes-Benz or smart car. Brand new! This 2018 Mercedes-Benz CLA250 Coupe is tastefully displayed in Polar White on Black ARTICO Interior. Equipped with: Premium Packages 1 & 2, Sport Package, Navigation, Active Parking Assist, Panoramic Sunroof, Rear View Camera, Blind Spot Assist, SiriusXM Satellite Radio, Matte Dark Ash Wood Trim, 18" AMG Twin 5-Spoke Wheels and much more! _______________________________________________________________________ The first thing the CLA unleashes is aggressive style. There's a sleek ferocity to the striking air intakes, chiseled hood, and upswept headlamps. Its diamond-studded grille with central star exudes confidence. With frameless doors you will slip through the wind with sleekness. You will notice the athletic contours of the rear bumper, with its twin chrome rectangular exhausts and strips of LEDs define the contours of the tail lamps. Check out the sloping curve of the coupe roofline, emphasized by chrome trim. Even from behind, the CLA250 turns heads. There are three modes to the 7 speed dual clutch transmission – Economy, Sport, and Manual, allowing you to dictate how power is unleashed, at the touch of a steering wheel shift paddle. And the ECO Start/Stop technology means fuel is conserved. Come see us today for a test drive! _________________________________________________________________________ Three Point Motors Victoria is your authorized Mercedes-Benz and Smart dealer for Southern Vancouver Island, home to the most captivating automobiles on the market. Whether you are searching for a New or Pre-Owned vehicle or wanting to get your current vehicle serviced, we pride ourselves in outstanding customer service and exceptional experiences. We will offer you the best finance and lease rates, a complimentary car wash once a month, Mercedes-Benz performance driving events, and a bright and comfortable customer lounge with gourmet espresso, tea, baked goods, and WIFI. Our motto is "The Best or Nothing" and we strive to perfect every aspect of ownership with your Mercedes-Benz or smart car. Demo! This 2018 Mercedes-Benz CLA250 Coupe is tastefully displayed in Mountain Grey Metallic on Crystal Grey/Black ARTICO Interior. Equipped with: Premium Packages 1 & 2, Sport Package, Sport Brake System, Active Parking Assist, Panoramic Sunroof, Rear View Camera, SiriusXM Satellite Radio, Sail Pattern Trim, 18" Twin 5-Spoke Wheels, and much more! _______________________________________________________________________ The first thing the CLA unleashes is aggressive style. There's a sleek ferocity to the striking air intakes, chiseled hood, and upswept headlamps. Its diamond-studded grille with central star exudes confidence. With frameless doors you will slip through the wind with sleekness. You will notice the athletic contours of the rear bumper, with its twin chrome rectangular exhausts and strips of LEDs define the contours of the tail lamps. Check out the sloping curve of the coupe roofline, emphasized by chrome trim. Even from behind, the CLA250 turns heads. There are three modes to the 7 speed dual clutch transmission – Economy, Sport, and Manual, allowing you to dictate how power is unleashed, at the touch of a steering wheel shift paddle. And the ECO Start/Stop technology means fuel is conserved. Come see us today for a test drive! _________________________________________________________________________ Three Point Motors Victoria is your authorized Mercedes-Benz and Smart dealer for Southern Vancouver Island, home to the most captivating automobiles on the market. Whether you are searching for a New or Pre-Owned vehicle or wanting to get your current vehicle serviced, we pride ourselves in outstanding customer service and exceptional experiences. We will offer you the best finance and lease rates, a complimentary car wash once a month, Mercedes-Benz performance driving events, and a bright and comfortable customer lounge with gourmet espresso, tea, baked goods, and WIFI. Our motto is "The Best or Nothing" and we strive to perfect every aspect of ownership with your Mercedes-Benz or smart car. Demo! This 2018 Mercedes-Benz CLA250 Coupe is tastefully displayed in Calcite White on Black ARTICO Interior. Equipped with: Premium Packages 1 & 2, Night Package, COMAND Navigation, Foot-Activated Trunk Release, Active Parking Assist, Panoramic Sunroof, Rear View Camera, SiriusXM Satellite Radio, 18" Matte Black AMG Multi-Spoke Wheels, Matte Dark Ash Wood Trim, and much more! _______________________________________________________________________ The first thing the CLA unleashes is aggressive style. There's a sleek ferocity to the striking air intakes, chiseled hood, and upswept headlamps. Its diamond-studded grille with central star exudes confidence. With frameless doors you will slip through the wind with sleekness. You will notice the athletic contours of the rear bumper, with its twin chrome rectangular exhausts and strips of LEDs define the contours of the tail lamps. Check out the sloping curve of the coupe roofline, emphasized by chrome trim. Even from behind, the CLA250 turns heads. There are three modes to the 7 speed dual clutch transmission – Economy, Sport, and Manual, allowing you to dictate how power is unleashed, at the touch of a steering wheel shift paddle. And the ECO Start/Stop technology means fuel is conserved. Come see us today for a test drive! 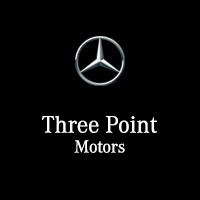 _________________________________________________________________________ Three Point Motors Victoria is your authorized Mercedes-Benz and Smart dealer for Southern Vancouver Island, home to the most captivating automobiles on the market. Whether you are searching for a New or Pre-Owned vehicle or wanting to get your current vehicle serviced, we pride ourselves in outstanding customer service and exceptional experiences. We will offer you the best finance and lease rates, a complimentary car wash once a month, Mercedes-Benz performance driving events, and a bright and comfortable customer lounge with gourmet espresso, tea, baked goods, and WIFI. Our motto is "The Best or Nothing" and we strive to perfect every aspect of ownership with your Mercedes-Benz or smart car. Brand new 2018 GLA250! Features include Premium Packages 1 & 2, Sport Package, Storage Package, Sport Brake System, 360-Degree Camera, Bluetooth, Navigation, Foot Activated Tailgate Release, Blind Spot Monitoring, SiriusXM Satellite Radio, Panoramic Sunroof, Active Parking Assist, 19" AMG Multi-Spoke Wheels, Matte Dark Ash Wood Trim, and more! ________________________________________________________________________________ This new smaller SUV is the next big thing! The new GLA250 4Matic SUV is here at Three Point Motors. If you are looking for the interior space of a large five-door hatch combined with the power and performance of a Mercedes-Benz SUV, the GLA250 is for you. Drive at ease with a seven-speed dual clutch automatic transmission and an updated 4Matic all-wheel drive system. Feel safe with our advanced Collision Prevention Assist. Come in for a test drive today to see the industry-leading innovation that Mercedes-Benz has to offer! __________________________________________________________________________________ Three Point Motors Victoria is your authorized Mercedes-Benz and Smart dealer for Southern Vancouver Island, home to the most captivating automobiles on the market. Whether you are searching for a New or Pre-Owned vehicle or wanting to get your current vehicle serviced, we pride ourselves in outstanding customer service and exceptional experiences. We will offer you the best finance and lease rates, complimentary car wash once a month, Mercedes-Benz performance driving events, and a comfortable customer lounge with gourmet coffee, tea, baked goods, and WIFI. Our motto is "The Best or Nothing" and we strive to perfect every aspect of the ownership of your Mercedes-Benz or Smart Car.